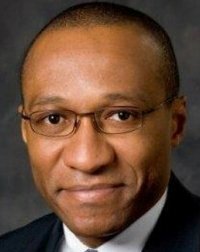 Mohamed Kande is Vice Chairman and Advisory Leader, PwC U.S. His expertise spans the areas of operational strategy, technology development, mergers and acquisitions, and operations management. Consulting caught up with Kande to discuss how the Fourth Industrial Revolution was going to redefine the future of business and what PwC’s role will be as it guides clients through this brave, new world. Traditional will not be effective in the future, so organizations need to realign their roles and strategies to meet the goals of the business, he says. The Fourth Industrial Revolution is going to force companies to re-imagine how they do nearly everything if they want to be successful in the future.